This is one of my favourite yoga bags at the moment. The bag has perfect width so you don’t have to worry about getting your yoga mat in and out of the bag. The quality of the material is just amazing! The outside material is denim (post-consumer-waste) and the inside lining is made of organic cotton. It says it is handwash only, but I had it in the washing machine and it seemed fine! Another yoga bag I really like is from Vioyoga. This bag is perfect for the summer with its tropical design. Stylish and useful at the same time. You close the bag with a drawstring and it also has an adjustable shoulder strap. It is made of 100% cotton and produced by people with disabilities in the “Bonner Werkstätten”. 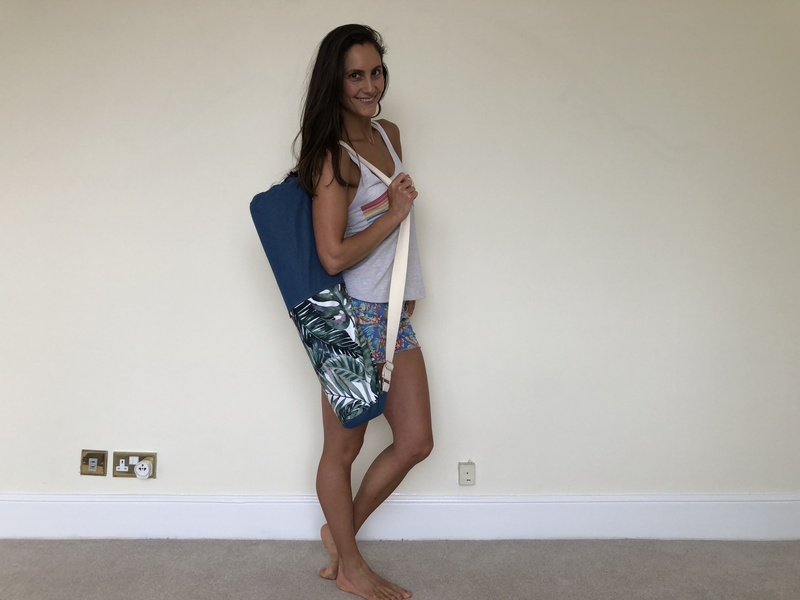 This bag is slightly different to other yoga bags; it is more like a normal handbag but it has a very useful front pocket where you can put a yoga mat inside. The actual bag is really big, so you can fit quite a lot of other items in it too. 30 days / 4 weeks ABS CHALLENGE? Today I am sharing another new ABS WORKOUT with you. Make sure you subscribe to my YouTube channel, so you don’t miss out on any new videos. Also, please use #zeynepyoga when sharing your photos and videos on social media. Ever wanted to get a new facial cream, but you don’t know which one to pick as there are so many out there? My students commonly ask me “Which skin care do you use”? First of all I do not use make up every day, only if I really really have to, for photoshoots or special events. I like to give my skin freedom to breath and I feel like I look like a different person when I wear make up (my husband agrees!). As I do have very sensitive skin, I am very picky with the products I use. I study them, before I get and use them. I insist on perfume free and organic products. But which products are really organic, consisting of 100 % natural ingredients? I picked a few organic skin care products which are now on the market, tested them for a few weeks and reviewed them for you. 1. How organic is it? Certifications? 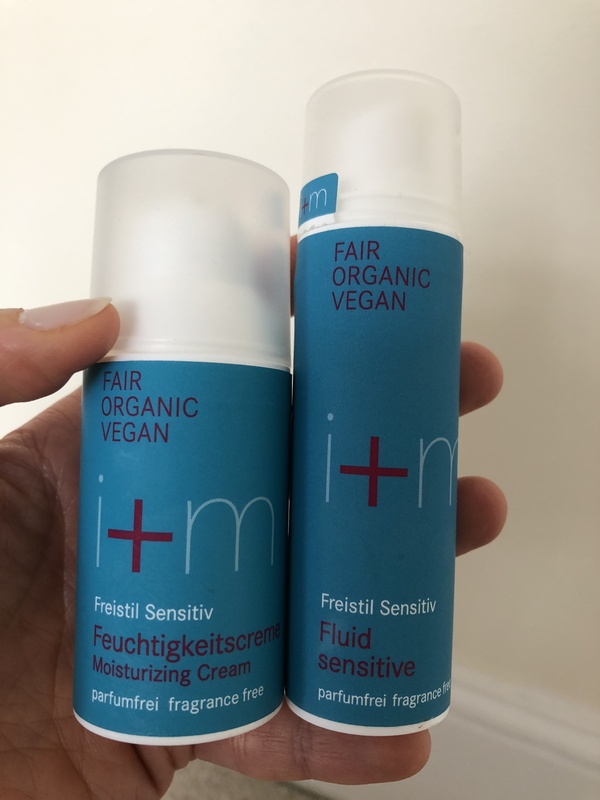 I have been testing the facial moisturising cream and the fluid sensitive from i + M. I absolutely love the delicious smell of the two products. As both facials are less thick, I do prefer to use them during the summer as during the winter my skin is craving for thicker moisturisers and oils. Both liquids are made of jojoba and almond oils, which my skin loves and absorbs very quickly. When using these moisturisers my skin felt hydrated and nourished. I love that the German brand insists of parfum free products, no preservatives included and no harm to animals during the production. These products are free from: aluminium, colourings, gluten, preservatives, lactose, mineral oil, nanoparticles, parabenes, parfum, paraffin, silicon etc..
You can definitely be sure, you are really using organic skincare. To prove this, they have got the following certificates: Cosmos Organic, Fair Organic Vegan, Vegan, Cruelty free International. The story behind this English brand is rather fascinating. The founder’s mission (Charlotte Vøhtz), was to create organic skin care when she found out that her young daughter had multiple skin allergies and eczema. She was insisted on never using “aggressive” ingredients or synthetic chemicals such as sodium lauryl sulphate (SLS), parabens, phthalates, petrochemicals, alcohol (ethanol) or synthetic fragrances or colourants, and to never test on animals. 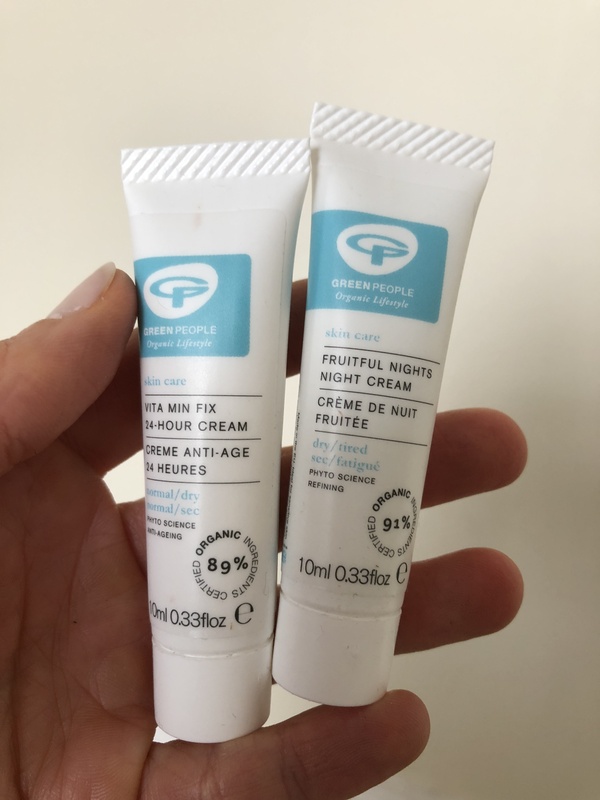 I have been trying the VITA MIN FIX moisturiser duo for day and night, which is also alcohol-free and supposed to nourish the skin for 24-hours and reduce wrinkles. I really like the smell of the liquids, which is sandalwood and rose. The moisturisers take a bit longer to be absorbed by the skin, but therefore they also stay longer in the skin. My skin felt really good and nourished by the ingredients squalane from olive and jojoba esters and antioxidants from seaweed and avocado. With this brand you can be sure you are definitely using natural products. The products are certified via Eco Cert Organic Cosmetics. 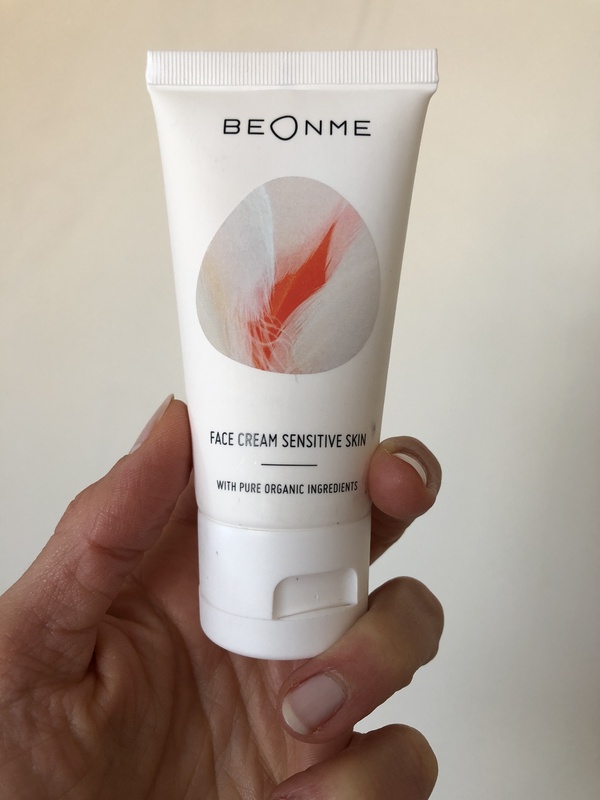 I have been using BeOnMe‘s facial cream for sensitive skin and I am very happy with the results. The moisturiser is a bit thicker than the other products I have tried, so you need to massage it a bit longer into the skin, but therefore it stays longer on your skin. It is perfect for cold winter days when the skin feels dry. I personally do like to use this cream during colder days. It has a nice, gentle healthy smell to it. My skin definitely felt softer when using this moisturiser. If you want to get your first BeOnMe product, you can get a 15 % discount using the following code: zeynep01. Do you like green tea or goji berries? I like both and I am pleased this German brand has 100 % organic skin care with those two ingredients in it. I would have never thought that I would like the green tea smell on my skin, but yes, it gives such a nice refreshing smell. My skin reacted positively to the ingredients which include green tea, gingko leaves, liquorice root extract and olive oil. I have been also testing the serum which has ingredients such as goji, epica, Argan oil, jojoba oil und shea butter. This serum helps with skin elasticity and yes, once you put the liquid on your face you really feel the skin getting firm. These products are also 100 % vegan and are certified by NATRUE. Weleda is another German organic brand, which is very established on the market. I love their products, especially this almond smelling body lotion. If you are into almonds, this is the one to get! 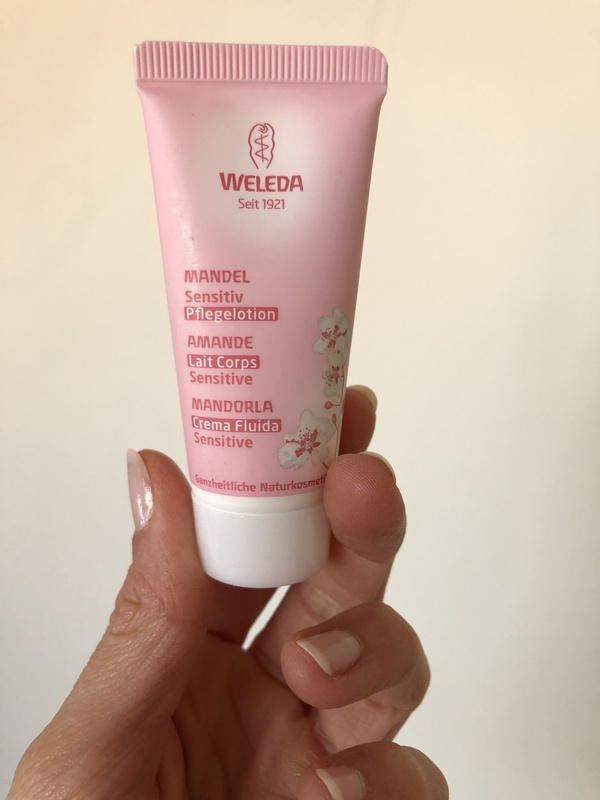 This one is a hydrating moisturiser which absorbs quickly into the skin, perfect for warmer days for me, I personally need a thicker moisturiser for the winter days. Weleda products are cruelty-free, non-toxic, paraben-free, synthetic fragrance-free, SLS-free and GMO-free. All products are certified by the NATRUE standards. You can definitely be sure you are putting natural ingredients on your skin. 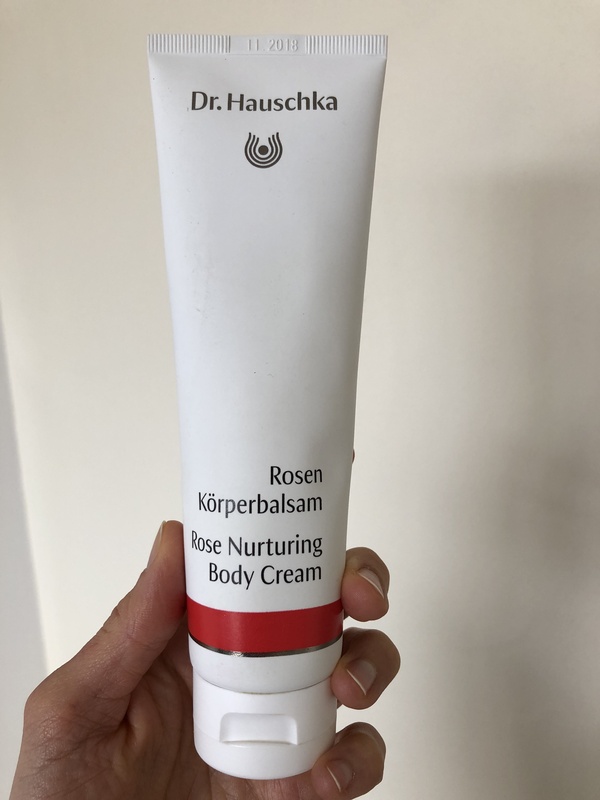 Dr. Hauschka is another German brand, which has been on the market for quite a while and I have been using it for a long time too. I am totally obsessed with all their facials, such as their rose cream. I have been also using their rose nurturing body cream lately and love it. I love the rose smell on my skin! My skin absolutely loves the ingredients, absorbs it very quickly, my skin feels smooth and also smells good. The ingredients are rose essential oils, organic Shea butter, almond and jojoba oil. You can be sure Dr. Hauschka is 100% organic too, free from synthetic fragrances, dyes and preservatives, mineral oils, silicone and PEG. The products are certified by NATRUE standards and not animal tested. This explains the philosophy of the brand. The brand works with natural ingredients and no animal extracts, petroleum derivatives or silicones. They refuse to use harmful ingredients or substances with poor biodegradability such as PEG, paraffins, petroleum derivatives, silicone oils and polycyclic musk compounds. 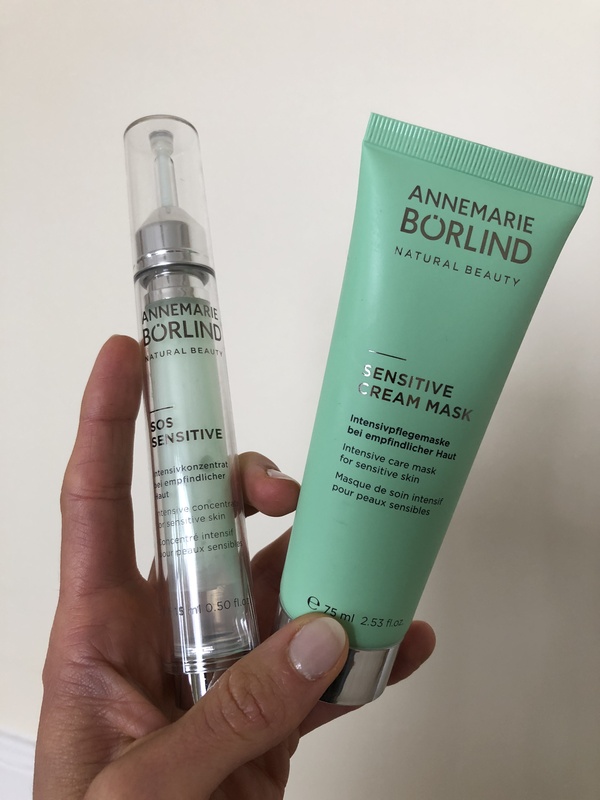 I have been testing the Sensitive Cream Mask & Beauty Shot, which both include blackcurrant seed oil and balloon vine extracts which help to reduce irritation and redness. I personally do not like the smell of either product, which is caused by the blackcurrant seed oil. I found it irritating to have that smell on my skin. I guess I am more a sweet smell person. I used the mask twice per week and found it really good, very moisturising and nourishing. The shot / serum is not so thick and absorbs easily into the skin. The founder Margaret once decided to study herbal medicine and aromatherapy, to be able to produce natural skin care and to battle her family’s eczema problems. Odylique products are free from synthetic chemicals and are all certified to Soil Association organic standards. I have been testing Odylique’s avodaco 24h replenishing cream, which comes in a sort of glass bottle. I find it tricky to get the right amount out of this bottle. I was expecting an avocado smelling moisturiser, but this has more a neutral smell to it. The ingredients are cold-pressed avocado and olive oil, which were ok for my skin. I have been also using the Baume Ultra Riche, which is great for the colder days. You can apply it to any dry areas, on face, body or even hair. It has a sweet delicious smell to it. These products are also certified to be natural and organic. Sukin is an Australian natural skin, hair and body care brand, which focuses on natural ingredients, cruelty free and vegan. I have been using Sukin’s facial Rose hip cream, which has ingredients such as rosehip oil, avocado oil, pomegranate and kakadu plum in it. It is a lightweight cream, gets absorbed easily by the skin and has a nice sweet smell to it. 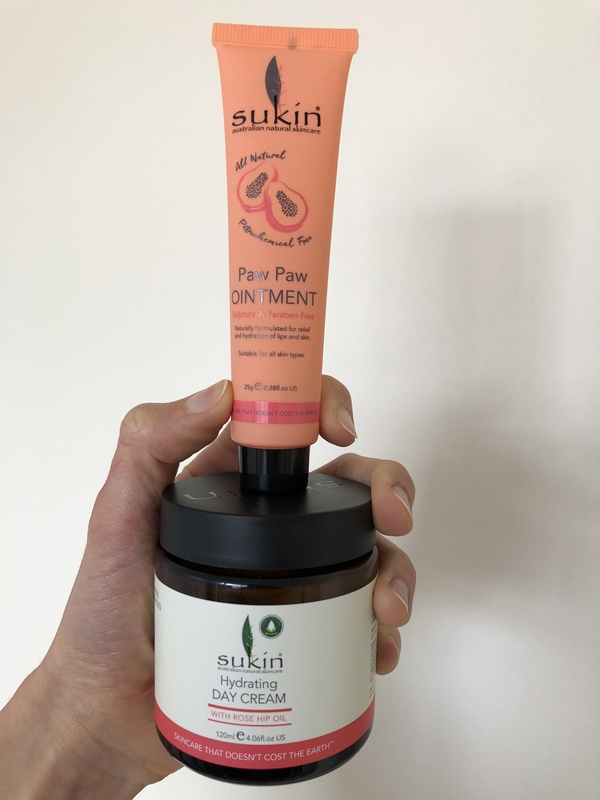 On colder days, I have also been using Sukin’s Paw Paw ointment, which is really versatile. You can use it for any skin areas (I mainly use it for my elbows), that are super dry or for even for your lips. They make the lips shiny at the same time and stay longer on your lips than any lip care I have tried so far! The main ingredients are papaya and castor seed oil. The company has no organic certifications, but they have a cruelty free company certification. The founder of the Organic Pharmacy, Margo Marrone, who had been working as a pharmacist and then went on to homeopathy realised how many toxins there were in our food and cosmetics. Her products are all based on homeopathic and herbal medicine. 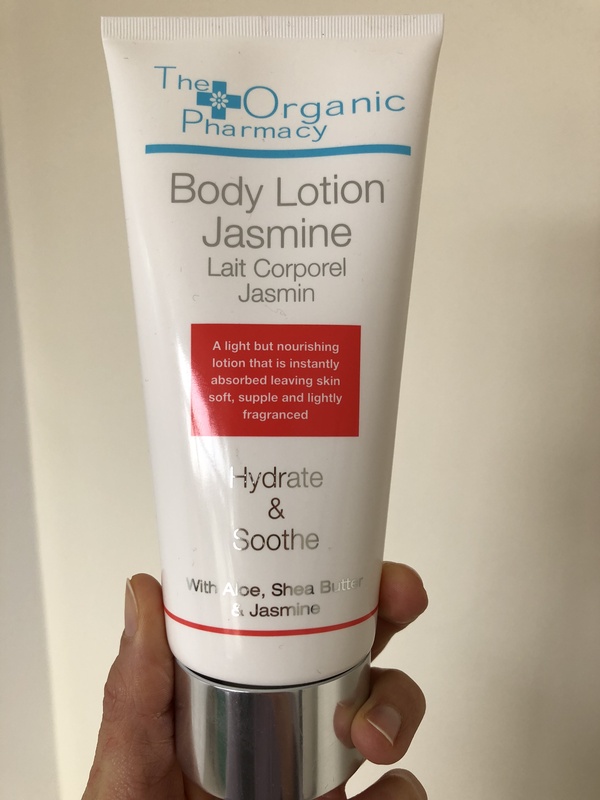 I have been trying the Body Lotion Jasmine, which has a strong Jasmine smell and includes Shea Butter, jojoba and aloe. You have to massage the cream into the skin until it gets absorbed. If you are not into Jasmine, then I would not recommend it, as it has a very strong smell. The actual cream is soothing for the skin and stays for a long time too. The company ensures that the product has 80 % organic ingredients, but I could not find any certifications, which prove this. First of all you need to decide if you are looking for a thicker or maybe a thinner moisturiser. If you want to be 100 % sure that it contains organic ingredients; I personally only believe it when I see certifications on the products, which really prove that the product contains what it says or advertises. 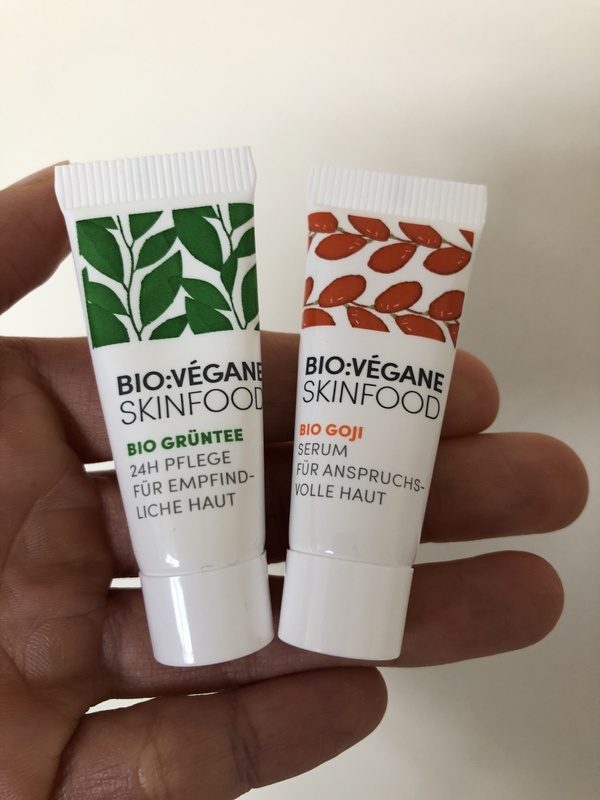 From my experience it is always good to go with German brands, as they really believe in organic and sustainability and have certifications which prove that what is inside is really natural or at least the percentage of the natural ingredients. You can go for the more common brands like Weleda, Dr. Hauschka, Annemarie Borlind or you could give newer brands such as i + m, BeOnMe, BIO:VÉGANE a chance. 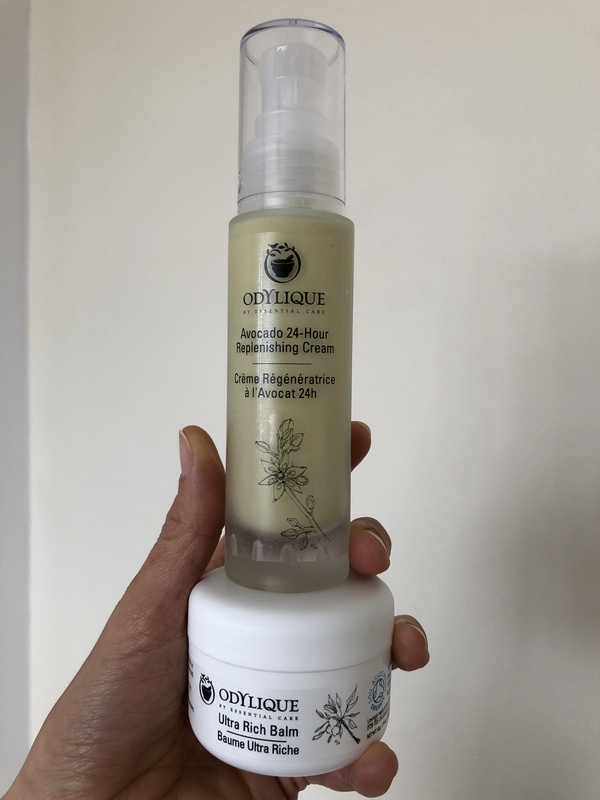 The two english brands Greenpeople and Odylique are also doing a very good job and have certifications which prove that they are really using organic ingredients. Good skincare asks for a price, but you can be sure that your skin will be very thankful when you look after it! Which brands are you using? Is it important to you to use organic skin care or do you not mind if it is not 100 % natural? I have so many students who always ask me about yoga mats and with such a large number to choose from, I am not surprised! 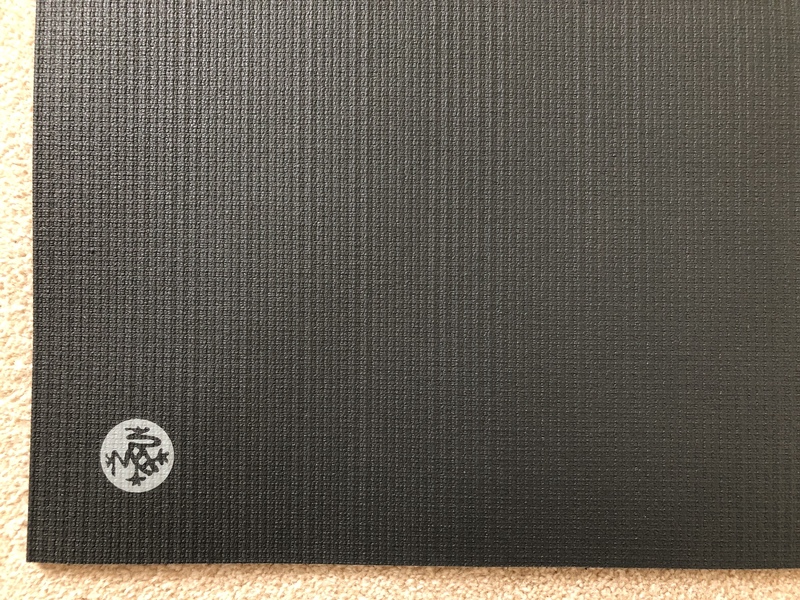 So to help you guys out, I have decided to publish a post just about some of the different yoga mats that I use, so you can get a better idea about what’s out there! This yoga mat is excellent for someone like me traveling a lot as it is foldable and very light (1.1kg!). It is the perfect mat for your holidays! It fits well in a rucksack with its 1.5mm thickness. It is made of natural rubber, is 100% organic and very slip resistant. Perfect for challenging transitions in your yoga practice. If however you still prefer to have more cushioning, you could also put this thin mat on top of a studio mat, for example. I prefer to do this anyway, as most studio mats do smell… you know what I am talking about! The mat is not washable, wiping the surface with a wet towel is recommended. It has a fairly simple design and the price (39,95 € / £35.25) is one of the lower priced mats, and definitely great value for what you get. This yoga mat has a totally different feel to most as the top layer of the mat is made of 100% organic, natural cork and the bottom layer of recycled rubber. Perfect for those who are concerned about the environmental impact of what they are buying. The mat is surprisingly light (900g! ), so good for traveling although it takes a bit more space with its 6mm thickness. You probably need an extra yoga bag for this mat. 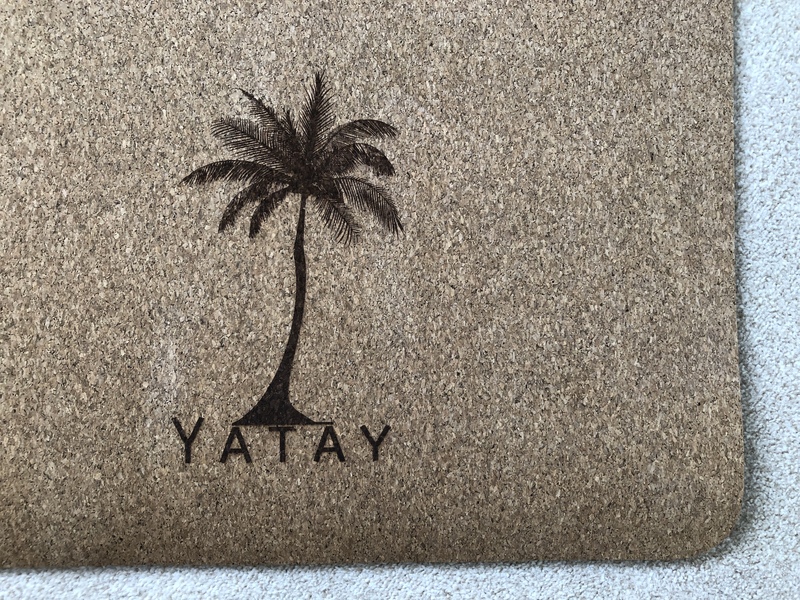 The design is beautiful, especially the logo with the palm tree. The grip is very good. This mat is on offer at the moment at £59.99, but with a standard price of 96,31€ / £84.99 is one of the higher priced mats. 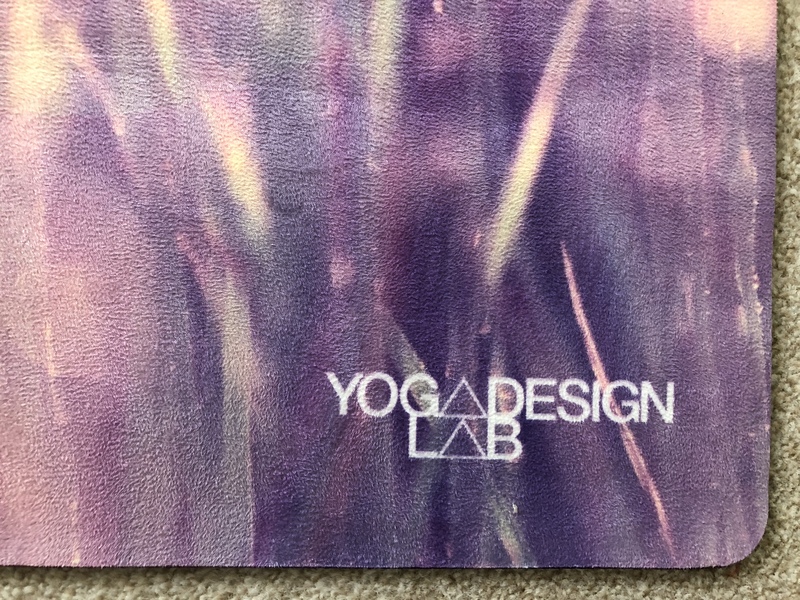 This yoga mat has a simple design, but has fantastic grip. My hands feel like they are glued to the mat, which is perfect for a powerful yoga practice session with a lot of jumping back and fourth. The mat is quite wide compared to the other mats, but still light at only 1.55 kg. It has nice cushioning with a thickness of 4.5 mm, so the knees are comfortable for poses like low lunge. The mat is made of PVC vinyl foam and tested for harmful substances according to strict German Oeko-Tex standards. The mat is also machine washable at 40 degrees. The price (49,95 € / £44.08) is good value for the quality of mat you get. 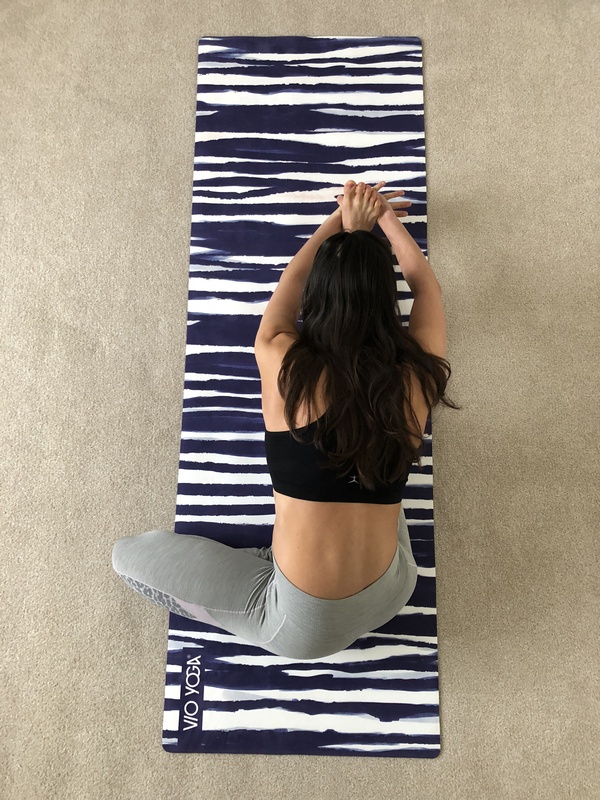 If you want to get your first VIOYOGA mat, you can get a 10% discount using the following code: Q8ZFHX8. Check out their website and their yoga bags; they have some incredible designs. 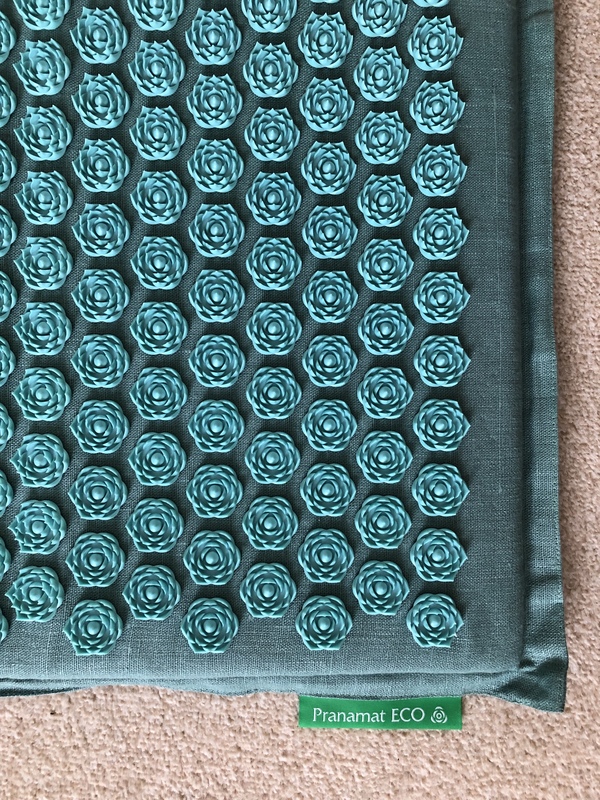 This is one of my oldest mats and is one of my most durable (e.g. some mats I have owned only last a few months and lose the grip after only a short time). If anything the surface texture of this mat has improved with use. However, this mat is quite heavy at 2.3 kg, so I use this mat for home use so I do not have to carry it around the city, and it has amazing cushioning, with a 5mm thickness. The dot pattern of the surface makes the mat non-slippery, but once you start sweating I find it loses its grip. The design is simple and it comes in different colours. It is not machine washable, but if you want to clean the mat, you can wipe it clean with a damp cloth. At a price of 65,52 € / £57.82 it is one of the higher priced mats, but is one of my longer lasting mats. If you want to get the mat on Amazon, please use this link. 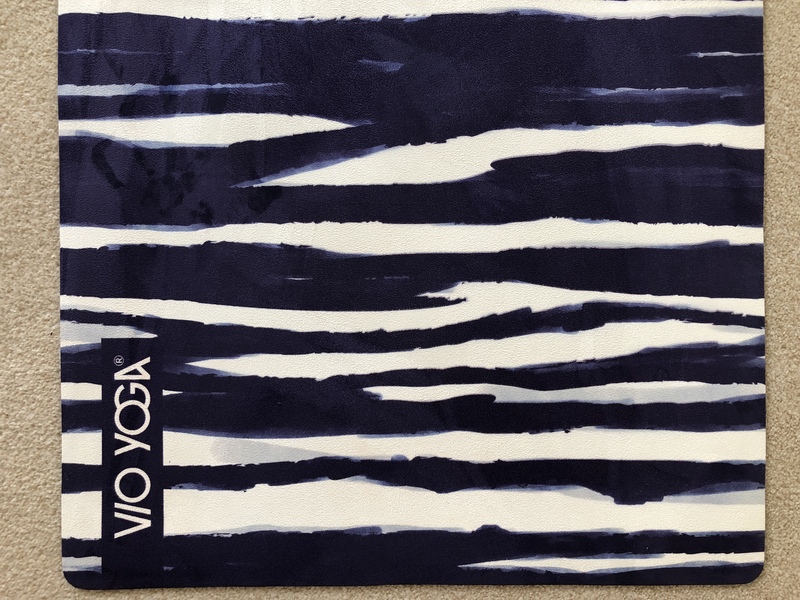 This yoga mat is definitely an eye-catcher with its beautiful Zebra design, but the second thing you notice is the feel of the mat, as it is very different to most. Why? Well, this is actually one of my combo mats, a 2-in-1 yoga mat and towel (a yoga towel, not one for the shower! Haha). The bottom layer is made of natural rubber and the top of super soft microfiber. You will definitely enjoy the Savasana on this super soft mat. Combo mats actually get more grippy the more you sweat, as it absorbs moisture. So sweating is allowed! Compared with the standard PVC mats, which you may be more used to, it will probably take a bit of time to get to grips with the slippery feeling microfiber surface. However, if you are sliding too much try spraying water on the mat to improve the grip. For someone traveling a lot, the mat is probably a little too heavy at 2.5 kg. If you want to give the mat a clean, it is cold machine washable. It is a little pricey (79,95 € / £70.55), but considering you have a yoga mat and a towel in one, you get a bit more for your money. If you want to get your first VIOYOGA mat, you can get a 10% discount using following code: Q8ZFHX8. This yoga mat is my other 2-in-1, combining yoga mat and towel. This mat is available in really cool designs; this one is called Serenity, and has such beautiful colours. As discussed with my other combo mat, if you have never practiced on a combo mat your hands may slide around, so you may want to get a sweat on first or just spray a little water on the mat to make it more grippy. The top microfiber layer is made of recycled plastic bottles and the bottom layer has a natural tree rubber base. This combo mat is surprisingly light at 1.8kg. The mat is machine washable (cold water) and comes with a black carrying strap. Like my other combo mat, the price (74,00€ / £64.00) is a little high, but we are talking about 2-in-1, right? If you want to get the mat on Amazon please use this link. Pranamat is a different kind of mat with its lotus flower shaped massage points, and is a specialist mat for minor pain relief, so wouldn’t be something you would use for your regular practices. However, it is a mat that is great to have as part of your collection. It took me a little bit of courage to lie with bare skin on the mat, as the massage points are pretty sharp. I would recommend to start by wearing a jumper first, downgrading to T-shirt and then trying it on your bare back. It is recommended to stay on the mat for 15 to 30 minutes to feel the full effect and position the mat to where you feel the pain. That’s when the massage points start to actually stimulate the blood flow, which oxygenates and invigorates the muscles. It is recommended to repeat this five to ten times to reduce any pai n.
You can target the back, shoulders, neck, waist, hips, feet and hands. I personally prefer to stand with my feet on the Pranamat, especially after a long day walking around. 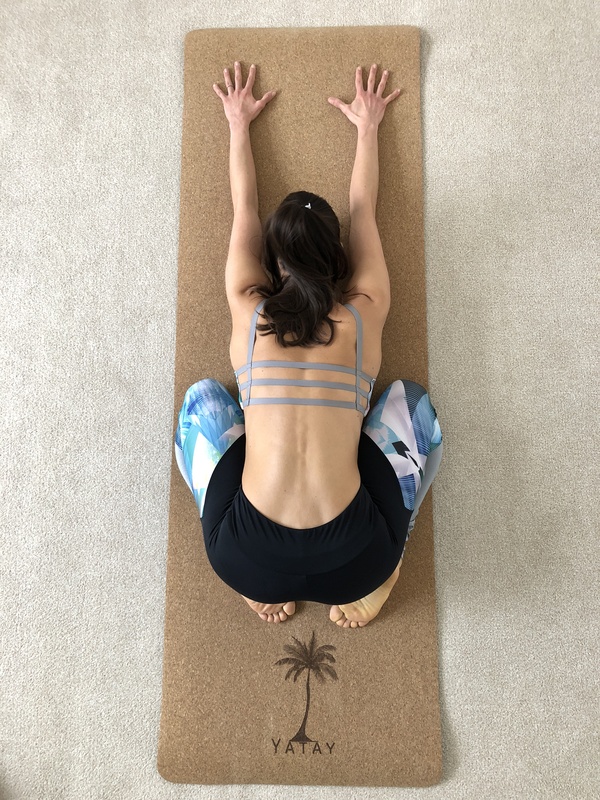 Once you step away from the mat you feel this lovely sensation on your feet and feel much more grounded and connected to the floor. The mat is light, I love the design, but it is a little bit pricey (113,32€/ £100). The great thing about Pranamat is that you have a 30-day money-back guarantee. So if the mat does not work out for you, you can return the mat! If you consider getting your first therapeutic massage mat, you can save 10 % using the following code: ZEYNEP10. This yoga mat is perfect for beginners. It is a very simple mat, coming in different colours, with a plain design. It is light at 1.2kg and the thickness of 4.5mm gives a nice cushioning for the knees for poses like low lunge. Once you start to get a bit more experienced, I would recommend getting a different mat, as the grip is not the best. The good thing about this mat is that it is machine washable. The mat is made of high grade PVC (AZO, DOP, phthalate and latex free). 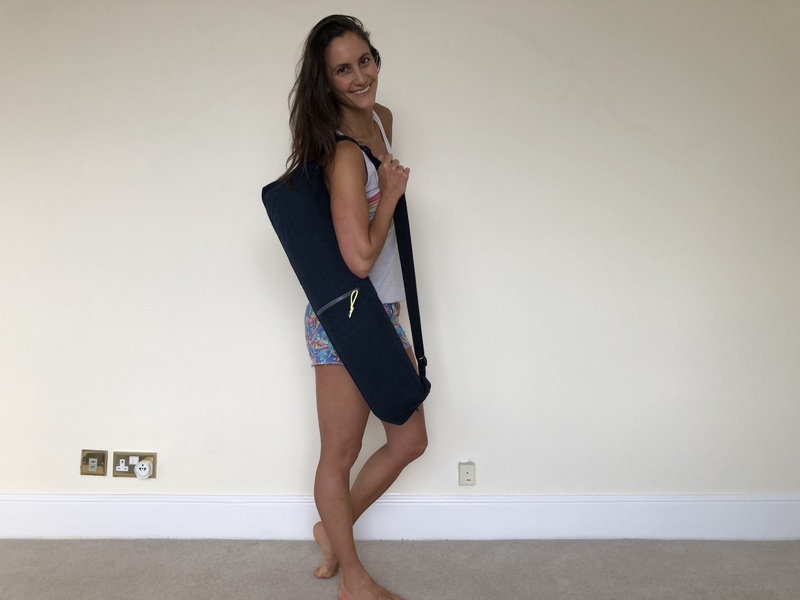 At a price of 19,26€ / £17.00 it is very good value, and therefore ideal for beginners or as an everyday mat that you don’t mind throwing around when you are rushing to your next class! 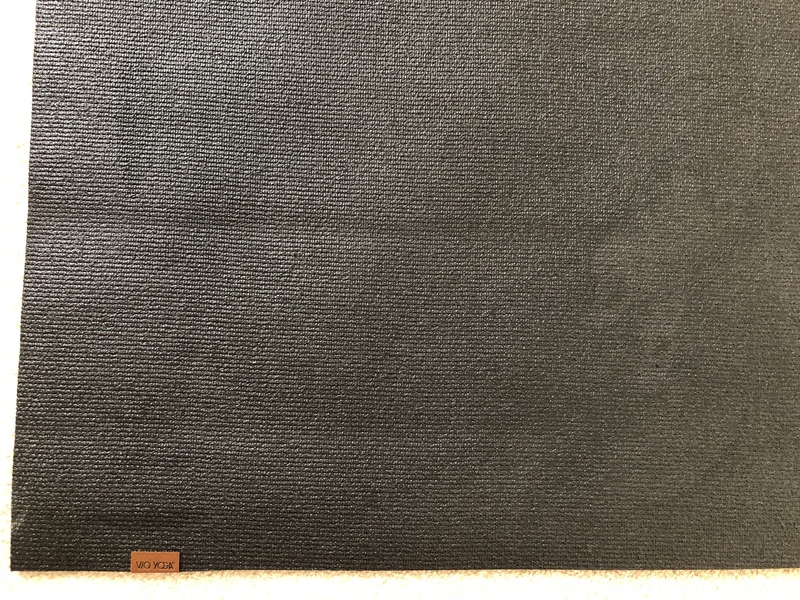 As you can see there are lots of things to think about when buying a mat and everyone has different preferences, but I hope I have highlighted the different options that are out there for you. 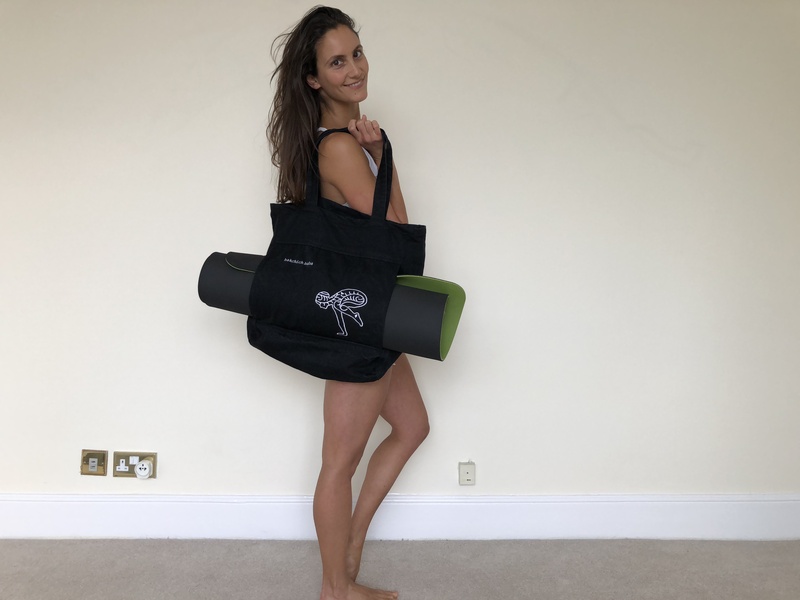 For me, the grip, weight and sustainability (environmentally friendly) are the most important factors to help with the more advanced yoga poses and as I need to carry my mats around with me a lot of the time. Once these three factors are ticked, I am super happy. However, like me, it can be a good idea to have two or more mats with different qualities for home and for when you are out and about. If you do decide to practice yoga regularly it is worth investing in a more expensive, higher quality mat. Let me know what you think. What is important to you and which yoga mat do you use for your yoga practice? In summer this year I was lucky enough to be the yoga model for Asana Rebel. We filmed for 5 days and I wanted to share a little behind the scenes video with you.